I was feeling a little out of sorts last week. 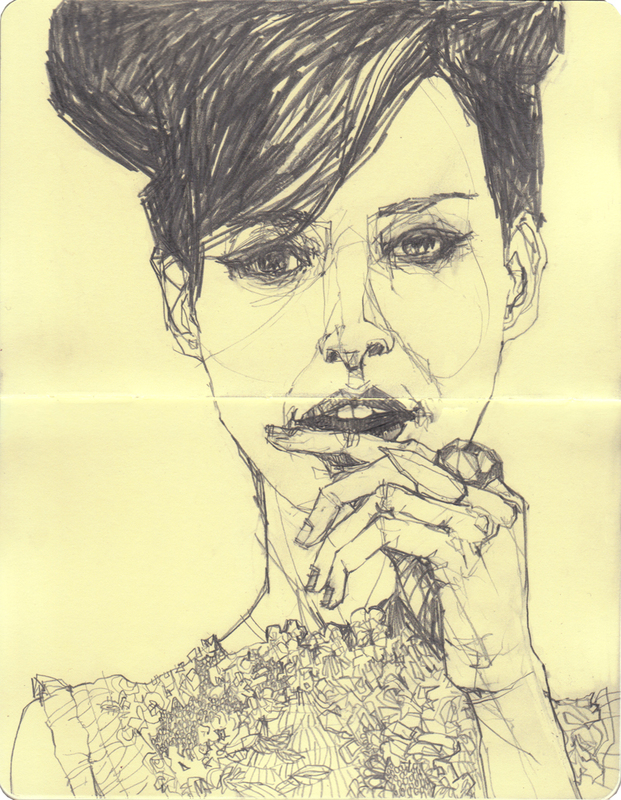 When a long walk doesn't help, I can always count on portrait sketching to make me feel normal again. It really never fails. I keep a folder of interesting faces saved on my desktop just for the occasion. So wonderful. Do you ever sell your sketches? I'd love to be able to buy some. thanks, ladies. jenny - I'm not sellings sketches right now, bu am working on opening an online shop soon that will sell my drawings in the future! hopefully if it all works out, i'll post about it on the blog. thanks for asking.